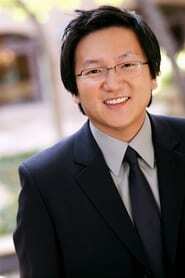 Masayori "Masi" Oka (born December 27, 1974) is a Japanese-American actor and digital effects artist. He has performed in numerous feature films and TV shows, most prominently as Hiro Nakamura in the NBC TV series Heroes from 2006 until its cancellation in May 2010. He resides in Los Angeles, California. Description above from the Wikipedia article Masi Oka, licensed under CC-BY-SA, full list of contributors on Wikipedia. as "Jeff - Bathroom Attendant"